The apostle Paul's letter to his friend and fellow Christian Philemon, which focuses on the question of slavery, has long inspired debate. Onesimus, one of Philemon's slaves and a Christian himself, has left his master's house and sought refuge with Paul. In a letter to Philemon, Paul assures his friend that he is sending Onesimus back into captivity, but pleads for mercy on the slave's behalf, asking Philemon to treat him as a beloved brother and as he would treat the apostle. 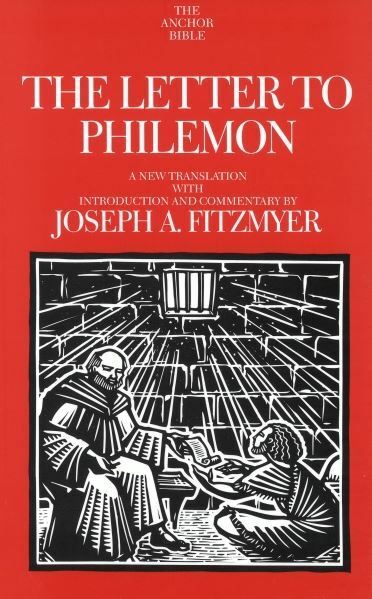 Examining Paul's letter within the context of the social, political, and economic realities of the times, Fitzmyer sheds light on the question of whether Paul was suggesting that Onesimus be granted freedom from slavery or whether he was simply advocating a lenient treatment of this particular slave. His insights not only clarify Paul's position but show why the letter is relevant in the Church today.